Via the data confirmation email: Active families that are in your school's account will typically receive an email several weeks prior to the beginning of the school year. This email will include a link that will take you directly to your data and your data only in a pre-filled form. At that time, you can update your information using our secure online form. 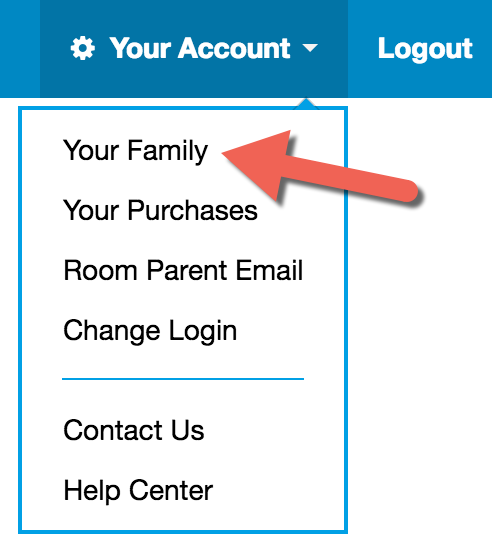 If you've been given access, you can login to the parent portal at any time and update. From a computer, Login here and go to Your Account / Your Family to change. 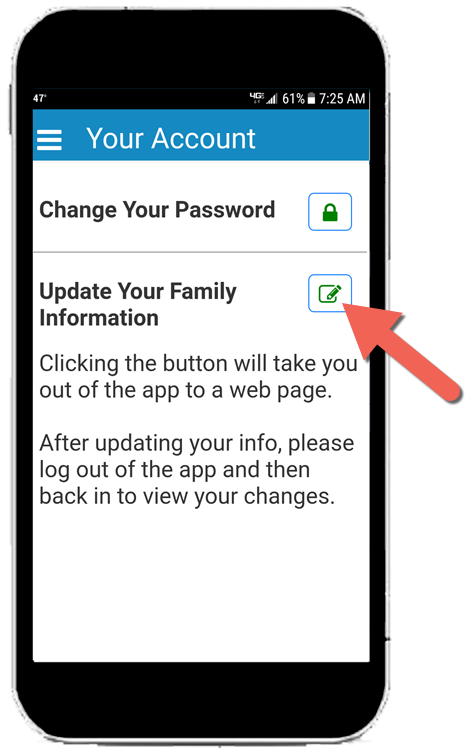 From our mobile app, select Your Account from the menu. Click Change Your Password to edit your password. You're unable to edit your email address via the app.